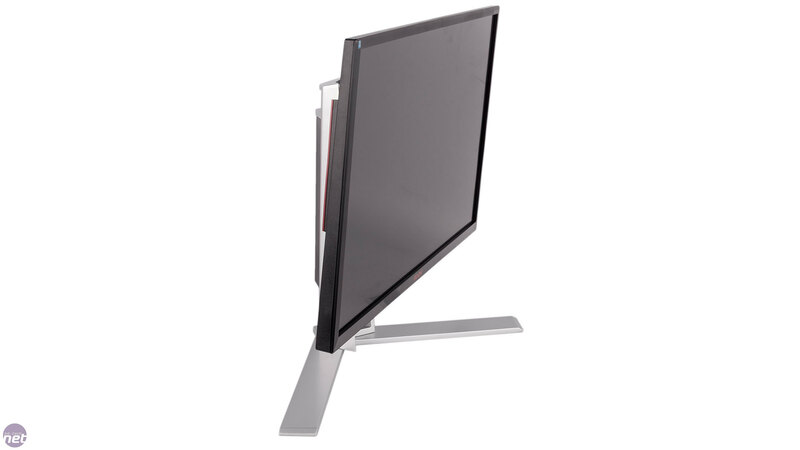 Monitors are not things many of us upgrade often. Get a decent one, and it can last you many years' worth of graphics card or even full system upgrades. 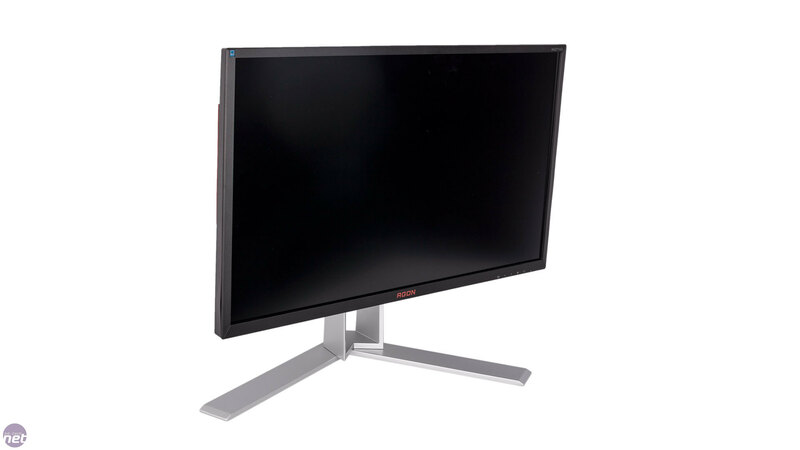 While bit-tech readers are more likely than most to be ahead of the curve and may already have moved to resolutions beyond 1080p, the fact remains that 1,920 x 1,080 is by far the most popular desktop resolution. 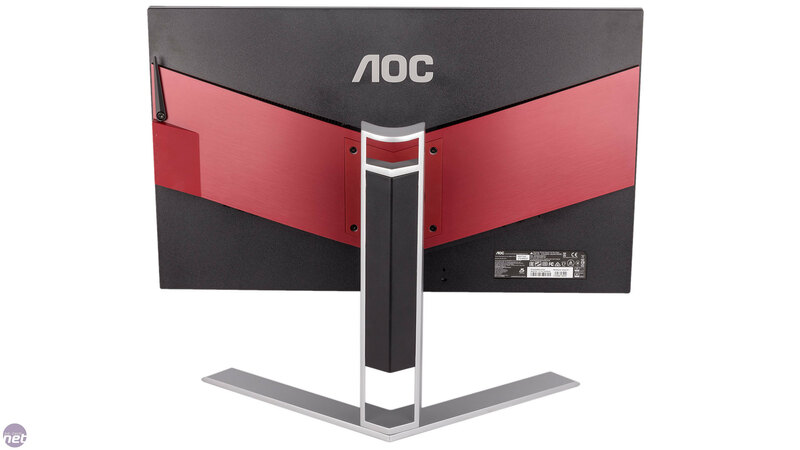 However, many may be itching for more pixels, and a 4K monitor like the AG271UG will give you four times as many as a 1080p panel, which translates to a whole lot more desktop real estate. 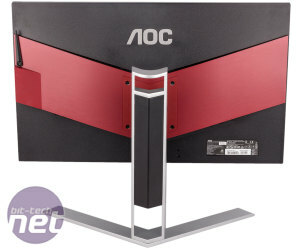 To be clear, this monitor from AOC is still very much a high-end proposition. £600 is a hefty wad of cash to drop on a new screen, but 4K gaming is finally becoming a reality with cards like the GTX 1080 Ti, and as we said the benefits of a new monitor can last for ages. 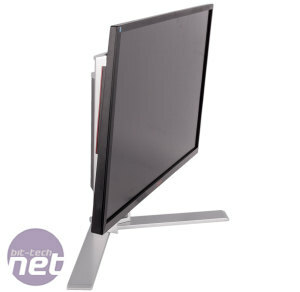 As you'll see, the AG271UG is very much aimed at gamers, with the main draw being its support for Nvidia's G-Sync, which is also responsible for a large chunk of the asking price – G-Sync simply doesn't come cheap. 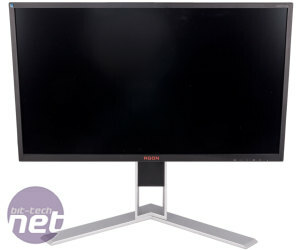 There are less expensive 4K panels available with support for FreeSync, but you won't be able to utilise them properly until AMD releases a card that's truly capable of 4K gaming. 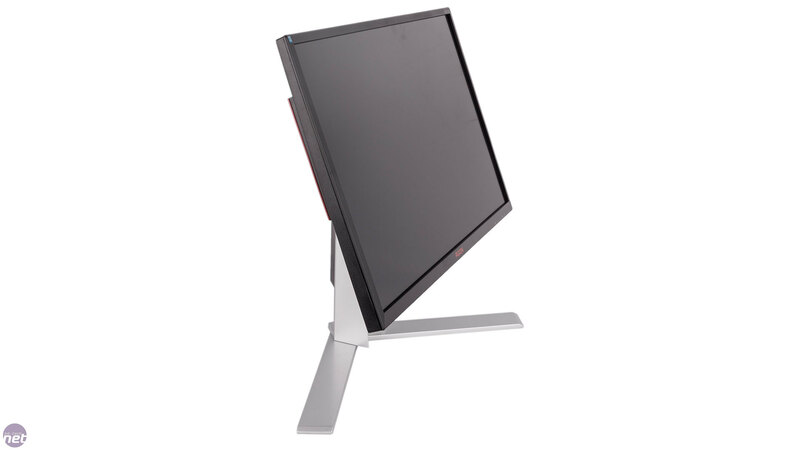 The AG271UG comprises a 27” IPS panel embedded in a plastic frame with bezels that are fairly thin. 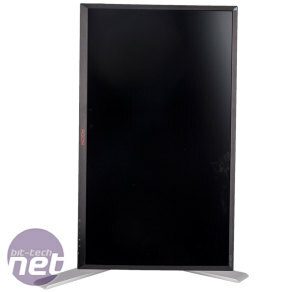 It comes in three parts that require assembling, although this is a simple case of screwing the stand into the back of the screen with four screws before attaching the base to the stand with a single pre-attached screw. 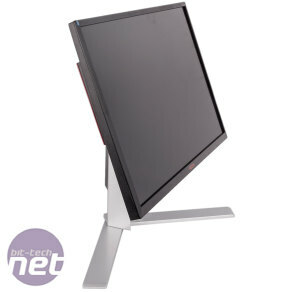 The build quality of the metal stand is excellent; it easily supports the weight of the screen, and the rubberised base keeps it firmly planted on your desk. There's even a built-in carry handle at the top – this isn't particularly comfortable to use, but it does function fine. 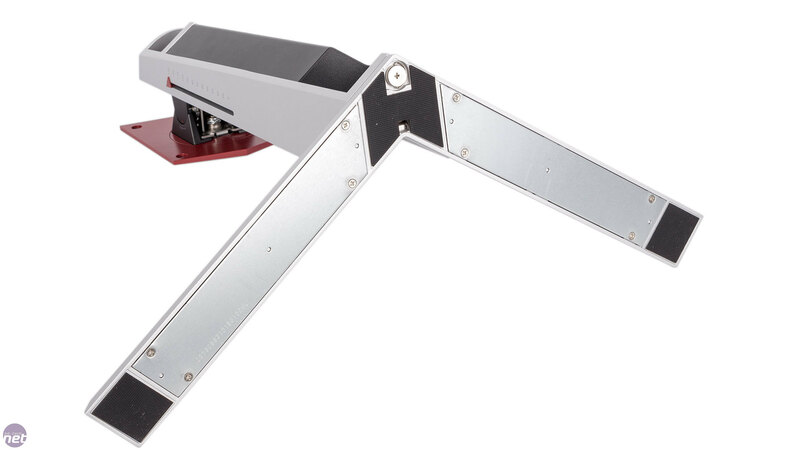 Once assembled, the AG271UG offers a full range of adjustments, with pivot, swivel, tilt, and height alterations all possible. Better yet, every adjustment is easy to make, so there's no excuse for not getting your viewing angle correct. 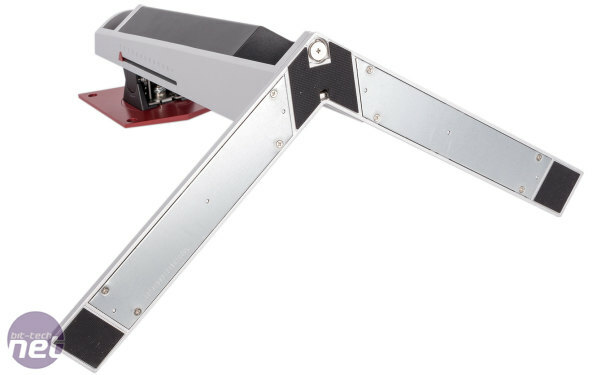 The stand actually has a millimetre scale printed on it and a small red triangle that you can use to mark your preferred height – presumably this is done so that if you ever need to shrink it down or disassemble it for transportation, you can quickly reset it to the appropriate height. However, this assumes you'll be using a chair and desk that are the same height as where you came from, and it's not really difficult to just gauge the correct height by eye each time you reset it. 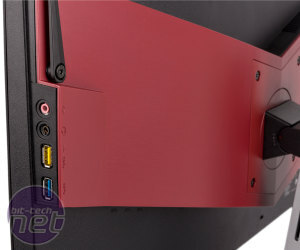 Vesa wall-mounting is supported as well, with the necessary metal bracket for this supplied in the box. 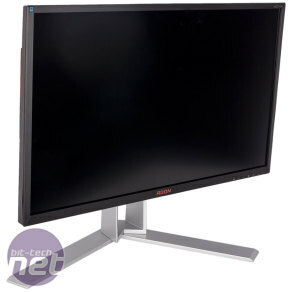 At its native resolution, the monitor can run at 60Hz, although only via the DisplayPort 1.2 connection as the HDMI port is the only other display input and only meets the 1.4 standard. 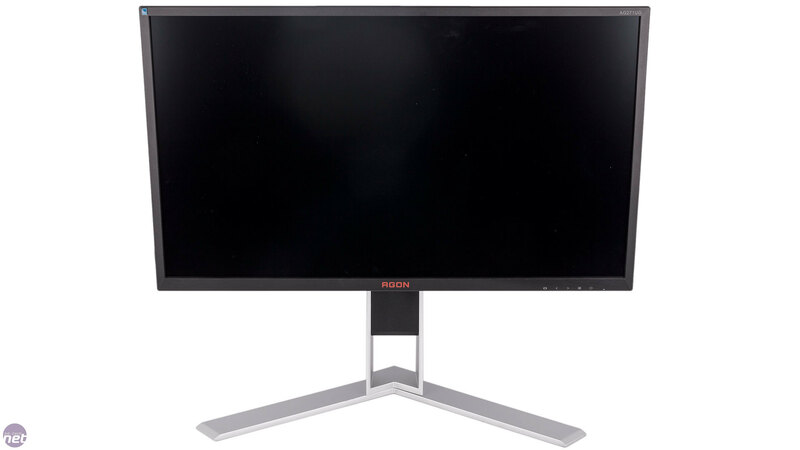 This will be fine for most of us but may limit its appeal to competitive/professional gamers who'll likely be seeking a higher refresh rate. 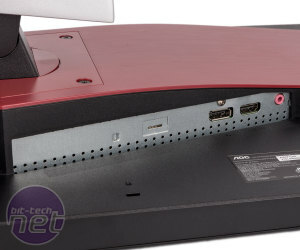 Found at the back, these display ports are down-facing, making them better for cable management but harder for access. 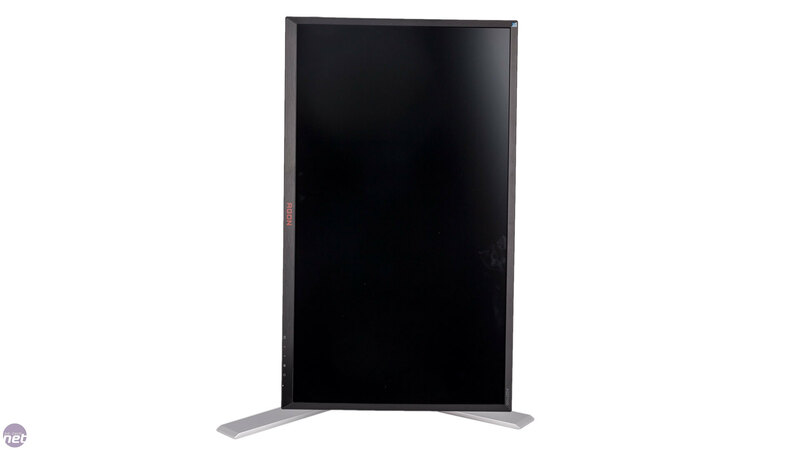 Other core specifications include a claimed 4ms grey-to-grey response time, a 1,000:1 contrast ratio, and a maximum brightness of 300cd/m2, all of which are fairly by the books for an IPS screen. 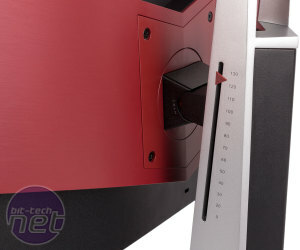 For audio, the monitor has its own set of speakers that are useful only for simple audio tasks like desktop notifications. 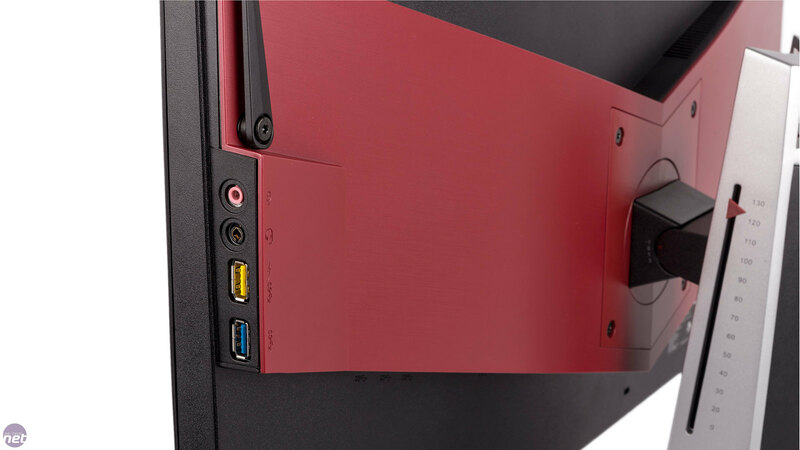 For everything else, there's a standard 3.5mm jack to reroute your audio signal to something more worthy, although its position on the right side of the screen is clearly aimed at headset users. 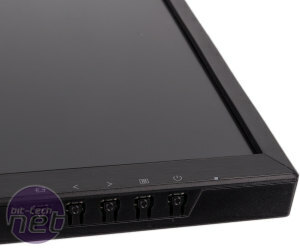 More evidence of this comes from the AG271UG also having microphone pass-through capabilities with a 3.5mm input next to the display inputs and the output jack flanking the headphone port on the side. There's even a flick-out headset support beam on the side; we think it could be longer and stronger, but it's still a neat, handy addition. 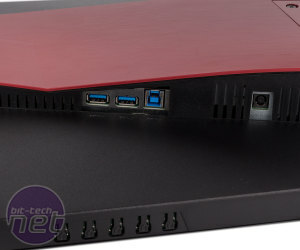 Additional connectivity comes in the form of a USB 3.0 hub. 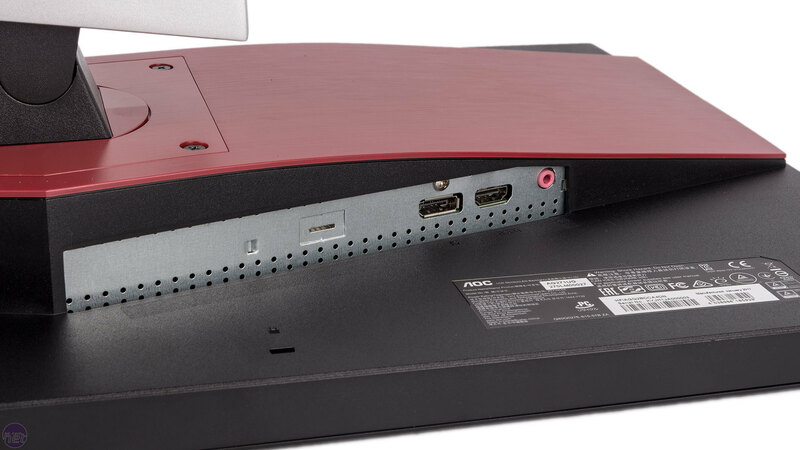 The upstream port is located next to two down-facing downstream ports at the rear, but a second pair of downstream ports are found next to the right-mounted audio connections, with one port also supporting fast charging. 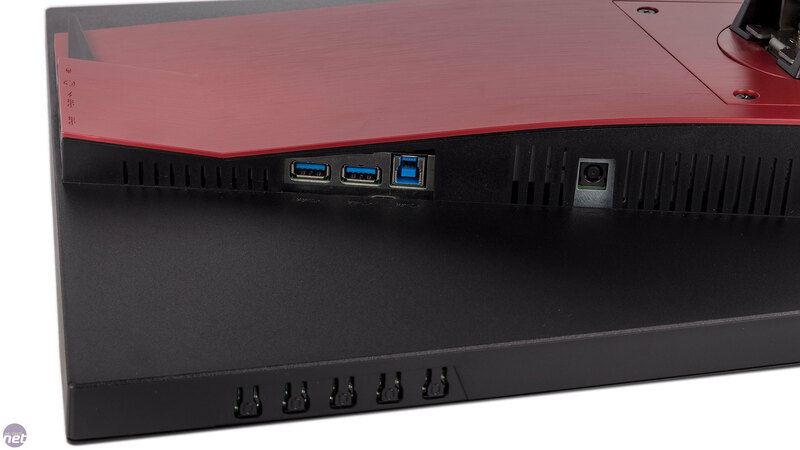 A full suite of cables is included (USB hub, HDMI, DisplayPort, 3.5mm pass-through), so you don't need to shell out extra to use any of the connections. Menu navigation is achieved through five buttons neatly placed along the bottom edge out of sight, with front-facing symbols indicating what you're doing. 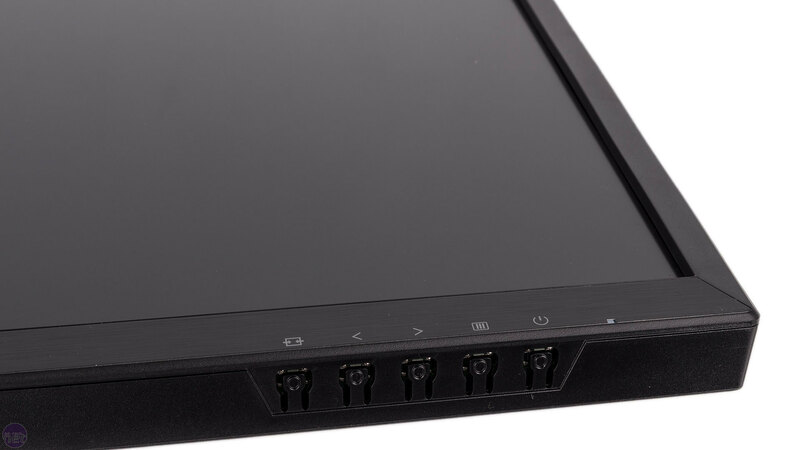 We prefer a context-sensitive solution with symbols displayed on the screen itself, but it doesn't take long to get used to the AG271UG's menu structure, and there are quick-access buttons for power, display input, and volume control. 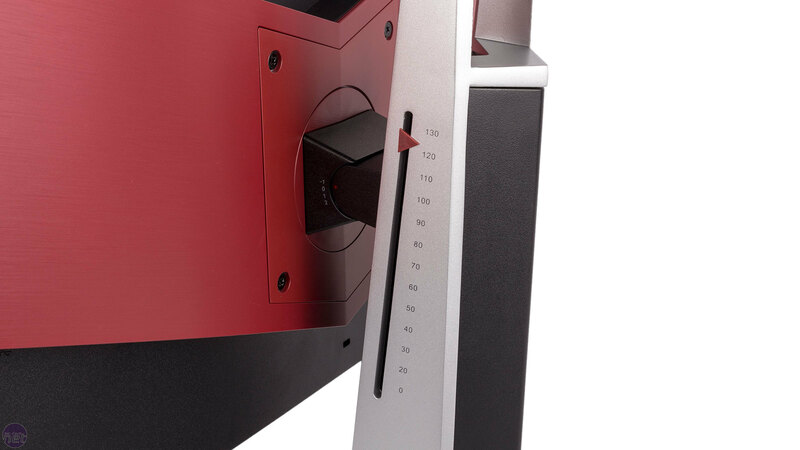 The main menu gives you three gamma settings, five overdrive options, five colour options including user-controlled ones and an sRGB profile, and a low blue light setting among the usual others. There are also some game modes like FPS, RTS, and so on to pick from, as well as 'Game Color' and 'Shadow Control' sliders.